Love has been in the air for our friendly sea turtles nesting along the beaches in the Osa Peninsula. Over the past few months, La Programa de Tortugas Marinas has been following the nesting habits of sea turtles on the Piro and Peje Perro beaches in hopes of finding out more about the number of turtles nesting on these shores. These beaches happen to be two of the most critical locations for nesting in the Osa, which makes this research extremely vital. Staff has been monitoring this project by walking along the beaches and counting the number of natural nests, nesting sites, and false nests! (A false nest, otherwise known as a false crawl, is a nest where a female turtle does not actually lay her eggs). During the months of October, November, and December, Osa Conservation’s sea turtle conservation program spent between 75 and 105 hours sampling the nesting locations at the Piro and Peje Beaches. On Piro Beach, there were a total number of 173 nests found. The nests were made by the two most common species of sea turtle in the Osa, the Olive Ridley (Lepidochelys olivacea) and the Green Sea Turtle (Chelonia mydas). 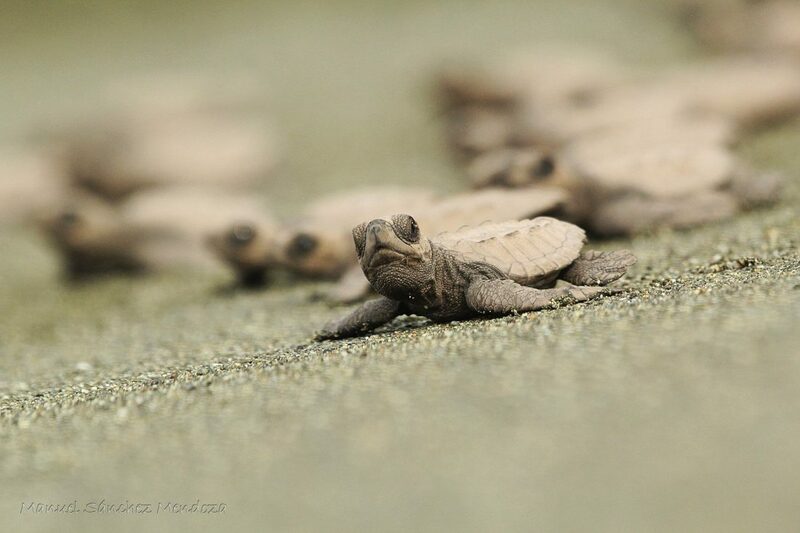 On Peje Perro Beach, approximately 380 nests were found from our two turtle species. An interesting fact from the results of the sampling is, of the 553 nests found across the two beaches, 140 of the nests happened to be false nests! Alongside the nest research occurring in the Osa, we also welcomed visitors of local hotels in Costa Rica to help us release over 7,000 turtles from October to December!